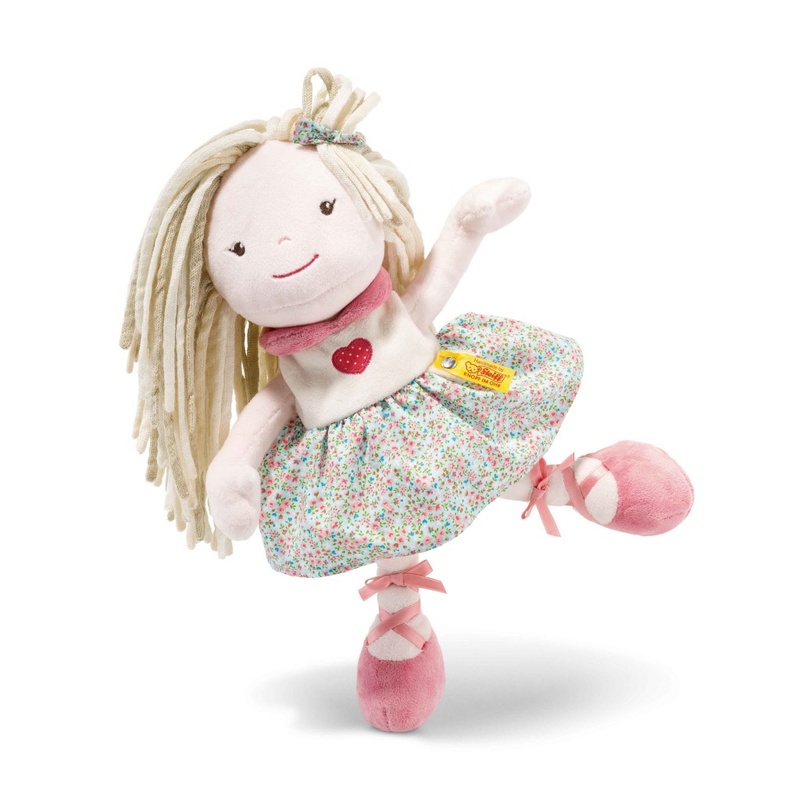 All the dolls and figures are safe for babies and young children. 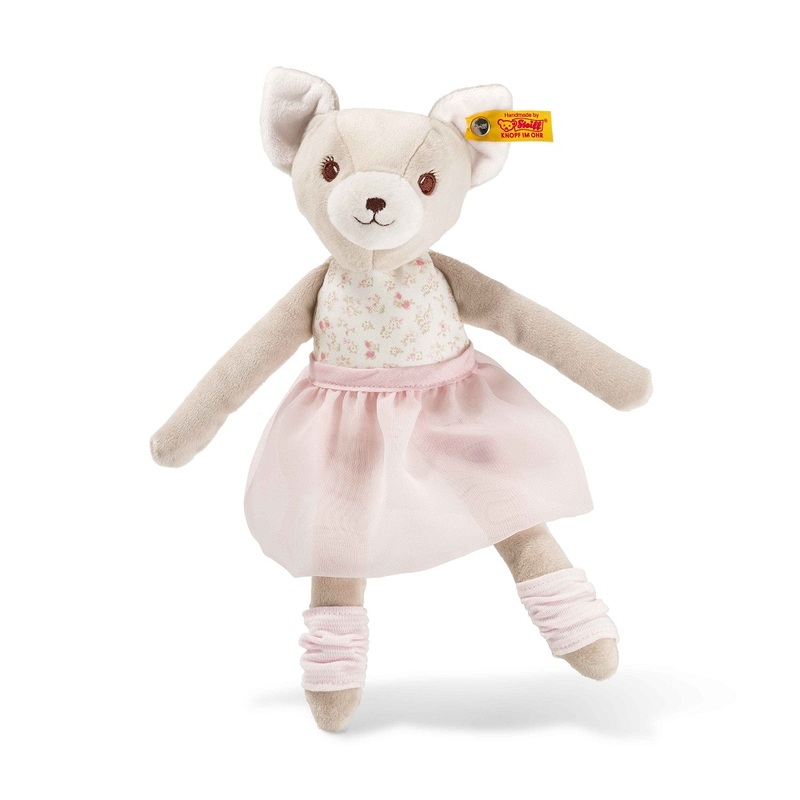 Steiff EAN 015502 Blossom Babies Doll, 30cm. Blossom Babies doll is made out of multicolored plush for baby-soft skin and stuffed with synthetic filling material. She has cotton wool hair. 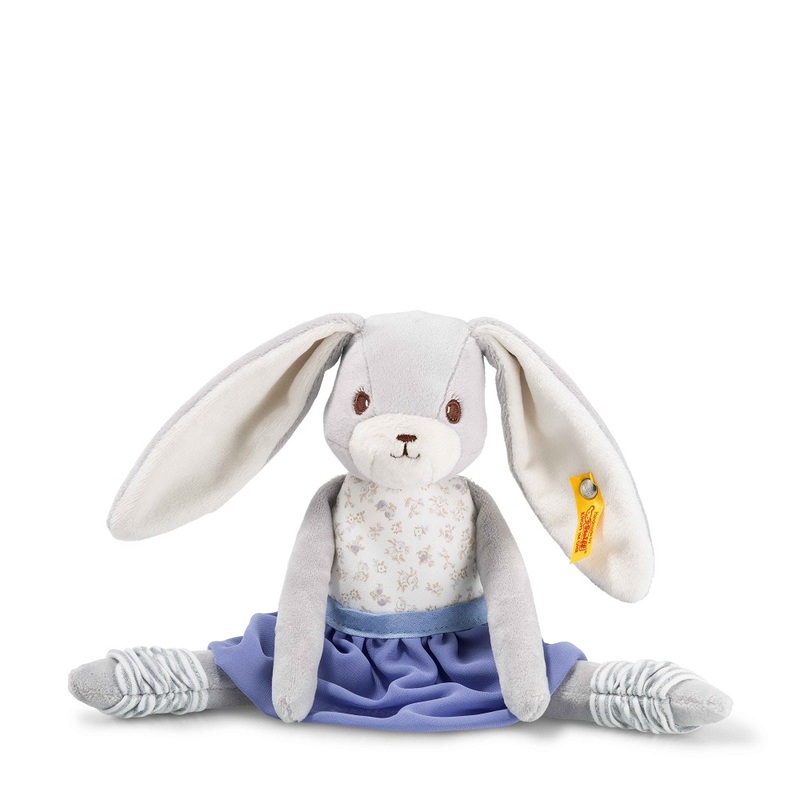 The baby collection has embroidered eyes and nose and is machine washable at 30° C. It is with CE mark and stainless steel "Button in Ear"
Steiff EAN 080494 Bonnie Ballerina Rabbit, 30cm. 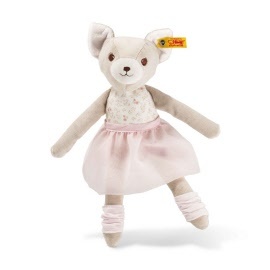 Steiff Bonnie Ballerina Rabbit is made out of grey/white soft plush. The skirt can be taken off. She is filled with synthetic filling material and has embroidered eyes.